You know you’re in too deep when you make a custom battery case. I adopted the Tenba case that I have been using for my batteries to show some Leica pride. Since I used the same cases for my Nikon D850, I needed a way to easily identify which case was for my Leicas and which for my Nikons. My wife did the actual modifications. She is quite handy to have around. You should notice that she even removed the edge detailing and placed the logo piece underneath then replaced the edge piece. It looks like I bought it this way. She did a great job. 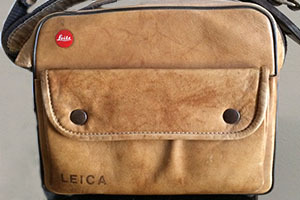 It case your wondering the logo is from the bag from a recent purchase at the Leica store. One of the more common questions I get is do I actually use my cameras. Pretty much every time I leave the house I take a camera. For most of my serious shooting I grab my M10. I like the look of the images but they are not that much different than the M 240 images. Actually they are the same. But the M10 is so much thinner that I feel more comfortable carrying it. The M10 feels so much like the M6 and I carried that for about 20 years so it has a familiar feel to it. The M240 has been mostly regulated to backup duty but it sees its share of action. The 28mm Summaron is mounted on it and that turns it into a nice little point and shoot camera. The more I shoot with that little pancake lens the more that I like it. Really has a film look to it. I have been shooting more and more film so my M6’s get the occasional exercise. Like to shoot tri-x and process it myself. I skip proof sheets and go straight to the scanner. I have shot so much film over the years that I can judge a negative without proofs. The Lightroom presets are nice but I still like the look of real grain. As long as they keep making film I will keep shooting tri-x. I should try to get a hold of the new Ektachrome, that would be a blast from the past. ( Funny, autocorrect doesn’t recognize the word Ektachrome ). And now to the poor neglected M8. I never really bonded with this camera. Occasionally I use my M8 as a poor mans Monochrom. I just leave off the IR filter since I’m not shooting for color. The images do print well in black and white on my Epson P800. I see no reason to give up on it so I just keep the batteries charged for the once and a blue moon excursion. As if I don’t have enough Leicas I still find myself looking at the CL. Not much reason for one but it would be a great carry all of the time camera. I like my iPhone 8 but I am not crazy about the 28mm field of view for all shots. I really am a 50mm guy. We’ll see. Summer is almost over so I will start shooting again. Just don’t like the harsh light of June through September. The Getty Museum in Los Angeles currently has on display ICONS OF STYLE : A CENTURY OF FASHION PHOTOGRAPHY, 1911-2011. The Getty has a history of curating some very good photography exhibitions and this one is up to the usual standards. I have not done much fashion work and I don’t follow the trends but I do appreciate good photography when I see it. I have books by Peter Lindbergh, Patrick Demarchelier and Helmut Newton. I went to the show not expecting much but was pleasantly surprised. The work was first rate and from about the 50’s to the present I recognized most of the images. I try hard to expose myself to all kinds of photography. I have a niche that I subscribe to for my own work but understand that inspiration comes in many different forms. My abstract work has been influenced by a number of contemporary German artists. Looking at other forms of contemporary art, architecture, and even music can have a great influence on your work if you let it. The show runs through October 21, so if your in the area go to the Getty to see the show. Also the Getty is a great place to shoot architecture and people. It's always wise to carry a spare battery while shooting. Batteries seem to die at the most inopportune moments. 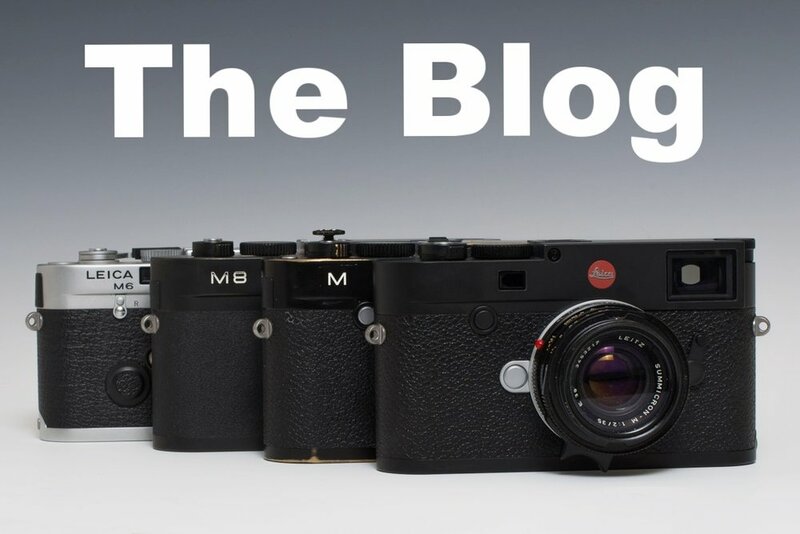 Remember when you bought your Leica M camera and there were those little bags of extra goodies that were looked at once and then thrown in the drawer? I use one of those extras all of the time. The DC cable for the battery charger is so often overlooked. It is a pro trick to charge your batteries while traveling between locations during the day. Never again do I have to stop shooting because I don't have a charged battery. IKEA has teamed up with Hasselblad to make Fine Art Photography available to the masses. The prints are mostly in the 20" X 30" size. They sell for from $20 - $25. I have seen them in the store and the are well done. Supposedly this is a test run to see if original artwork sells in their stores. I would like to see this catch on as it would allow photographers to get their artwork in the hands of a lot of people and make some money. The images were taken with Hasselblad cameras. If you are thinking about buying a Leica CL or wanting a backup body for your Leica M10 there is a great offer you might want to jump on. If you buy a Leica Cl or a CL kit you instantly get a M-adapter for using your M lenses on the CL. It's such a good offer that I might pick-up a CL. 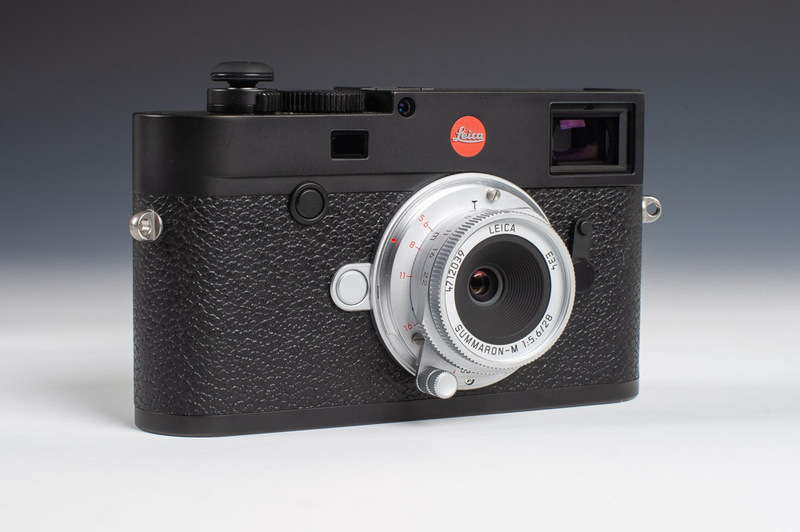 Purchase a Leica CL body or Leica CL Vario kit and receive a M-Adapter L (retailed at $395). 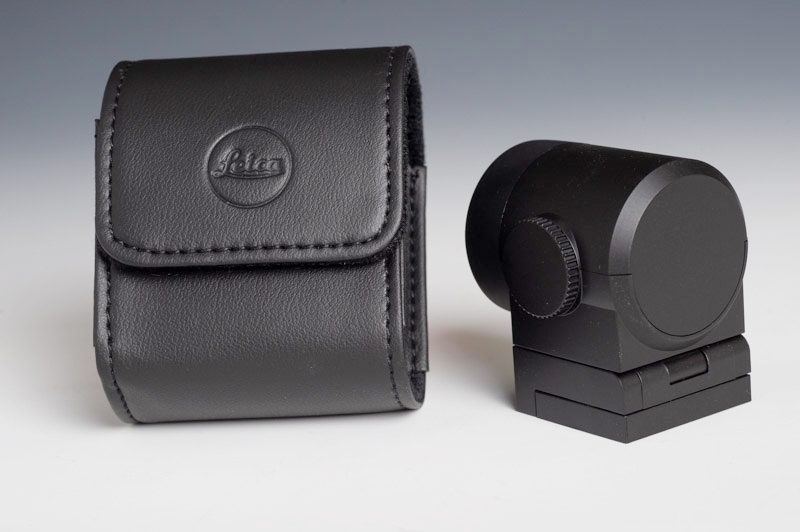 With this adapter, you can mount 49 different M-Lenses, both contemporary and classic, to the Leica CL with ease. M-Lenses are compact and discreet, delivering the highest quality images even in low light. Offer ends September 30, 2018. Use the Dealer Locator here to contact a Leica Store, Boutique or Dealer to learn more about this special offer. Take full advantage of the legendary Leica S, R and Cine-Lenses. Various L-Adapters are made available to easily mount to the CL-system, providing you with unlimited access to an array of Leica lenses. Leica is getting into the watch business. Today Leica announced that they are entering the watch business. My first reaction was shock and skepticism. I’m an Apple fan and have been following what they have been doing to the watch business with great interest. Apple is just steam rolling the industry with the Apple Watch. I have a long fascination with high-end Swiss watches. Specifically the Rolex. I own a Submariner and I just love it. Something about fine European craftsmanship that I’m attracted too. At the same time I appreciate why the Apple Watch has become so popular. It’s usefullness when combined with an iPhone is impressive. So much so that I recently purchased one for my wife. She loves it and wears it all of the time. 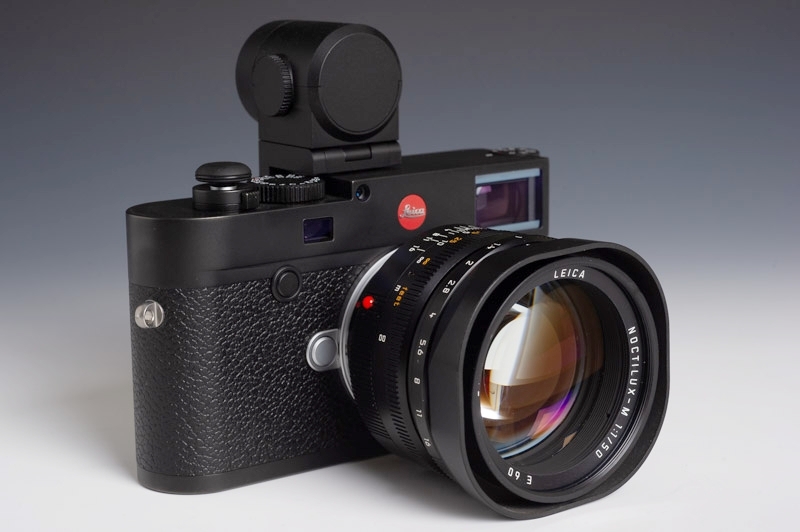 I can see why Leica is moving in this direction. The company is doing well and selling their products as fast as they can make them but there are only so many people that will by a Leica camera. With watches Leica can enter a market where they can exploit their strengths namely small items made with the utmost in mechanical precision. Looking at the big picture it is a sensible gamble. Most people that buy their cameras would be a logical customer for a Leica Watch. The photos of their new watch so a blend of traditional and current design trends. This Watch is obliviously not a product that is being rushed to the market to capture some recent fad. 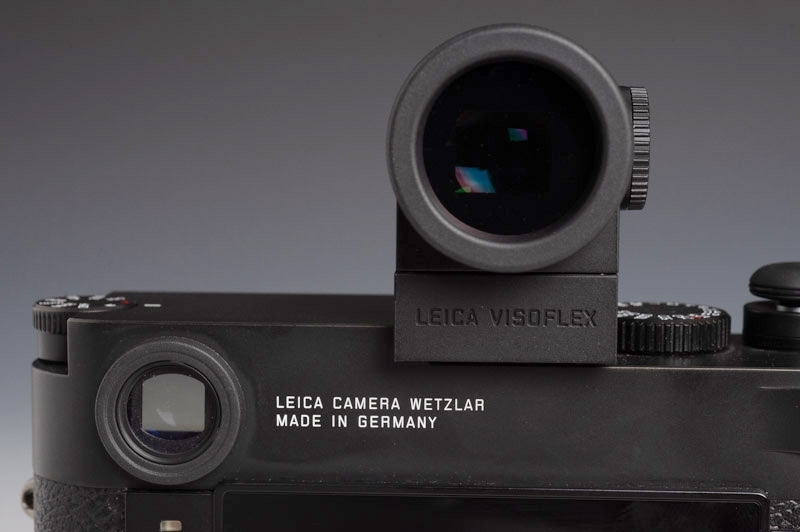 Leica has been around for more than 100 years and is obviously planning for 100 more. I wish them luck. Using the Leica 28mm 5.6 Summaron is like going back 60 years in time. It looks like a lens from the 50's. The feel of the lens is nothing like what is being produced today. And the images have kind of a film look to them that gives a retro vibe. The original 28mm Summaron 5.6 was first manufactured from 1955 to 1963 and was available only as a screw mount lens. It did not appear in Leica catalogs until 1963. The 28mm Summaron was actually a good selling lens because in the short time frame that it was available 6,228 lenses were made. Even though it was screw mount only remember that adapters were used to allow the lens to work on bayonet mount cameras. The optical design was the same as today’s lens. A bayonet version of the lens was announced by the Leica Photography Magazine in the spring 1956 issue but was never produced. There is one prototype known to exist so the lens was close to production. 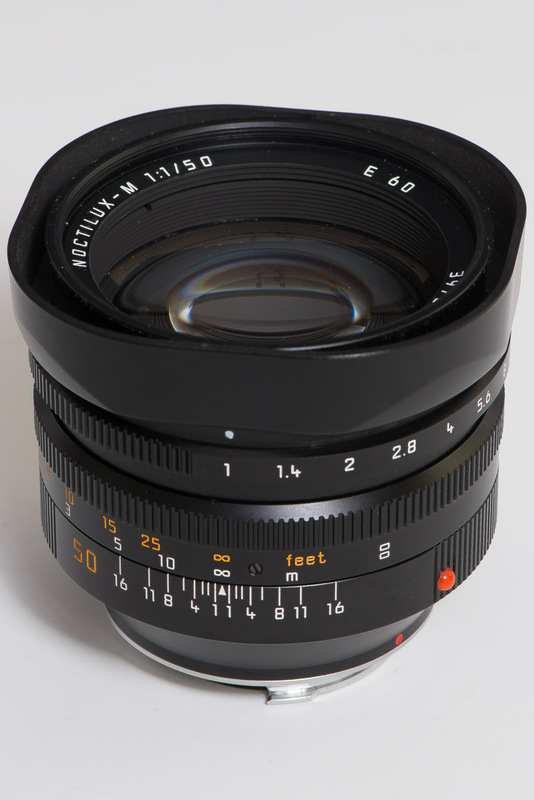 The 28mm Summaron 5.6 lens was introduced by Leica in the fall of 2016. It is generally hard to find at the dealers because Leica is simply not making many and most are being scooped up by collectors. 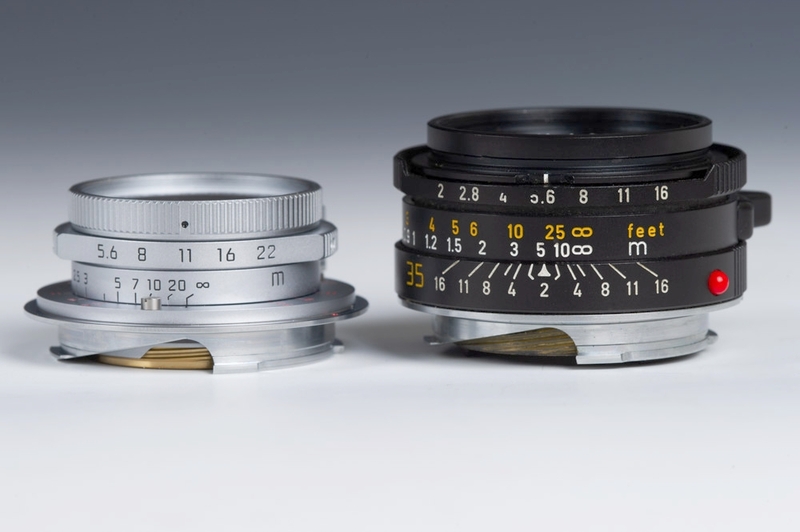 Last year Leica released another retro lens, the Thambar. Hopefully we will see more of these speciality lenses. In use I find that the lens turns my M10 into a point and shoot camera. When focused at about 10 feet at f11 the hyper focal range is from about 4 feet to infinity. For most shooting there is no reason to focus. Although the 5.6 aperture seems like it would limit the usefulness the lens this is not the case. On bright days an aperture of 5.6 is very acceptable and when the light drops just raise the ISO as needed. On the M10 noise is well controlled to 1600. Also remember Leica lenses are designed to be shot wide open so the is no quality deduction for shooting wide open. There is some vignetting on the edges but nothing that can’t be easily fixed in Lightroom. I would describe the Summaron as a medium contrast lens. That is why earlier I described the lens as having a film look. Some early reviews of the lens complained that it was soft. I disagree, no it does not resolve detail like the 50mm apo, but it not supposed to. In actual use it is as sharp as other Leica lenses and I have the enlargements that will verify this. Pixel peepers are never happy. The main reason that I chose this lens over the 2.0 or 2.8 28mm lenses was its size. I have enough speed lenses so having a small lens that could fit in the corner of my bag was appealing. I tend to carry 2 Leica bodies with me so a lighter lens made the choice easier. And I must admit it is one cool looking lens. The retro vibe was hard to resist. Comparing the 28mm Summaron to a 35mm Summicron you get a sense of just how small this lens is. It is easy to get photos of your fingers if you don’t adjust your grip on the camera after focusing. A M10 and a 28mm Summaron could easy pass as a point and shoot camera when you are in a crowd. It is so small most people are used to seeing Nikons and Canons so a M10 with this lens is a lot less intimidating. A 28 mm lens is not my first choice for a lens on a Leica, that would be a 50mm. It is not even my second choice, that belongs to a 35mm lens. But I find that when shooting busy street scenes I am liking more around my subject so that I can tell a more complete story. I guess that Garry Winogrand was right after all. Being a diehard Leica rangefinder fan I was at first skeptical on the need for an accessory viewfinder for my Leica M10. I have been using a rangefinder for so many years that focusing is second nature for me. But I understand that it takes awhile for some to become proficient with a rangefinder and other people just like electronic viewfinders better but they like the size and quality of a Leica M camera. Another reason to choose the accessory viewfinder is that on a Leica there are no frame lines for lenses wider than 28mm so an external viewfinder is necessary. With film cameras optical viewfinders are available but they are not an ideal solution. The image is small and there is no exposure information. You have to focus and set the exposure though the cameras viewfinder then use the external viewfinder for framining. Less than ideal but that was the way it was done for decades. My reason for trying the Visoflex was because of one particular lens. The Noctilux. I have a 1.0 Noctilux that I enjoy the images that it produces but it is a notoriously difficult lens to focus. The newer 0.95 Noctilux is noticeably sharper but doesn’t have the glow that the 1.0 has. I just like the images that it creates. But I have been disappointed in my percentage of keepers with this lens. I have sent my Leica’s in to have the rangefinders matched to the lens in the past but I was still not satisfied with the results. 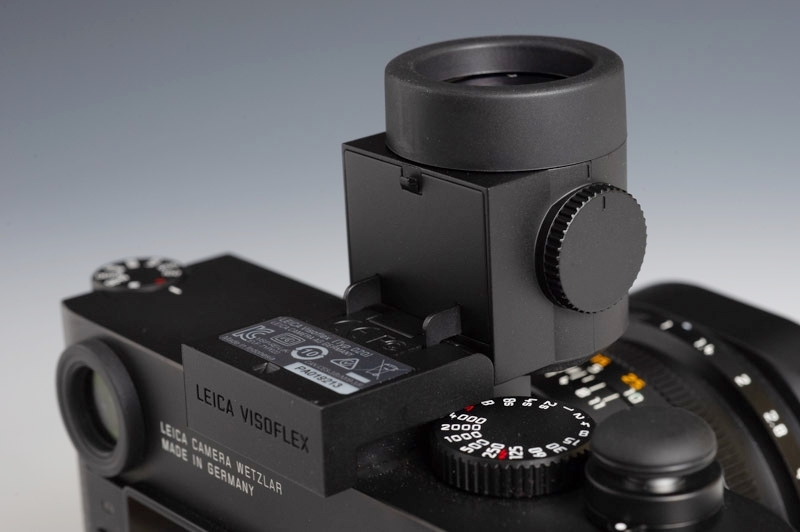 On a recent visit to the Leica store I tried the 1.25 optical magnifier and the Visoflex to see if I could improve my focusing. The optical viewfinder was ok but not what I wanted. The Visoflex was a revelation. The viewfinder was much sharper than the previous model for the Leica M240. It also had a faster refresh rate. Notice the built in diopter on the side. I wish that Leica could add one to the rangefinders. The image that is shown in the Visoflex is the same image that is shown on the back of the camera when Live View is being used. To use the camera Live View is turned on and you look through the Visoflex. A sensor detects that you are looking through the Visoflex and it turns off the back screen and turns on the image in the Visoflex. It is a nice sharp image. When the lens is focused the image comes into focus. 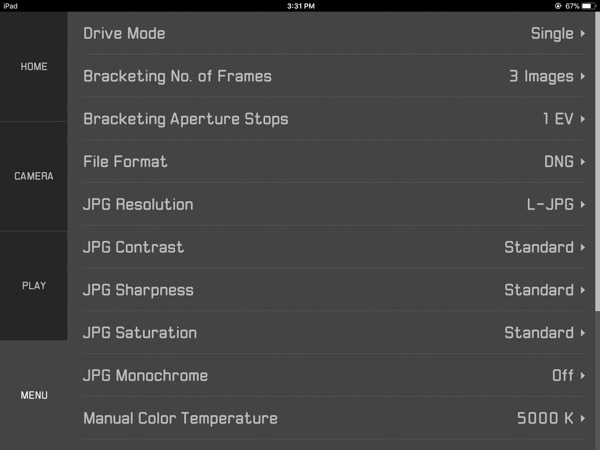 Also the default settings zoom the center of the image and turns on focus peaking. As long as there is enough contrast in the scene the little “ red ants “ really help achieving correct focus. After an exposure the results appear on the screen for about a second and then it reverts back to the Live View. How the camera and the Visoflex behave is customizable. You can decide when and where the image is viewed be changing the settings in the camera menu. The Visoflex has a built in GPS unit so you can geotag your images. If you travel that can be a very handy feature. Closeup view of the Visoflex in use. The Visoflex was very well designed. It is small but not to small. It looks good on the M10. The Visoflex can be tilted to accommodate shooting at different angles. It can also be tilted 90 degrees to make shooting like a Rolleiflex possible. I find people really don’t pay attention when shooting in this manner. It appears that you are shooting straight down. The image through the Visoflex is the same as seen on the back of the camera when Live View is activated. As shown above you can see that it provides a very high quality image. No it’s not as good as seen in a Leica SL or a Leica Q but it not far behind. I am very happy that I have decided to give the Leica Visoflex a try. My keeper rate has gone from 20 - 30 percent to better than 80 percent. I now have more confidence when shooting with my Noctilux and I will probably carry it with me a lot more often. 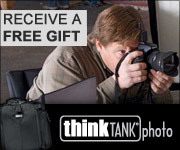 While waiting for my wife while she was shopping I noticed a Leica being used in an advertisement. 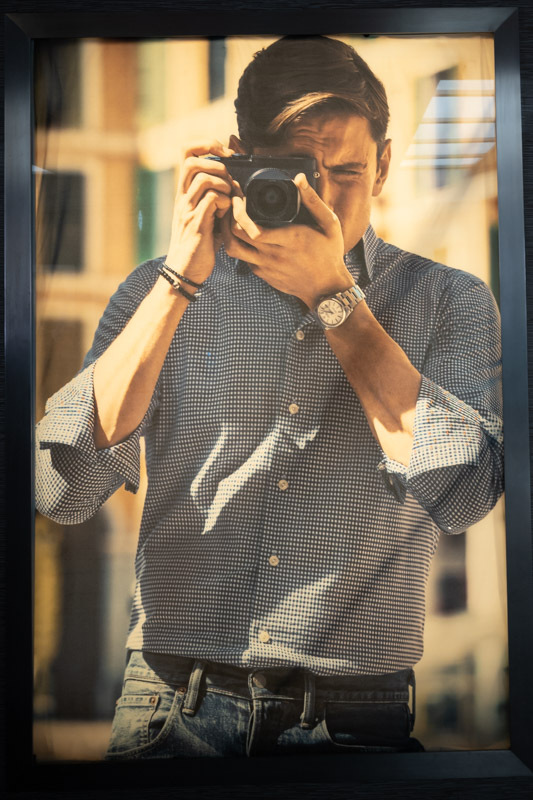 A mens clothing store called ETON has a guy holding a Leica Q in their main advertisement. I always enjoy it when Leica's show up in unexpected places. Apple's bluetooth AirPod headphones are maybe the purest expression of the Apple design philosophy. One look at them and it’s obvious this is an Apple product. Small and sleek, simple to use, no extra features, and they look like no other product on the market. I don’t often talk about non photography products but these little headphones have found a permanent place in my camera bag so I decided to spend a few minutes talking about them. When unboxing the AirPods the first thing that came to mind is that the case reminds me of the original iPod. All white with a touch of chrome on the back. The choosing to have the case serve double duty as the charging station was a brilliant choice. Looking back it seems like an obvious way to charge Bluetooth headphones, and that kind of design is what we expect from Apple. The case has a lightning port for charging and I was pleasantly surprised to find a lightning cable included in the package. The AirPods work with all of the current and recent products that have the newer version of the Bluetooth protocol. That would include the iPhone, iPad, iMacs, and Apple laptops. It takes longer to explain how to pair the AirPods to an Apple product than it takes to actually complete the process. The secret is your Apple ID. Once’s paired with one product the information syncs to your other devices so that they are ready to connect immediately. First remove the case with the headphones from the retail packaging but don’t open them just yet. To pair iOS devices 10.3 and later first turn on the device and make sure Bluetooth is turned on. 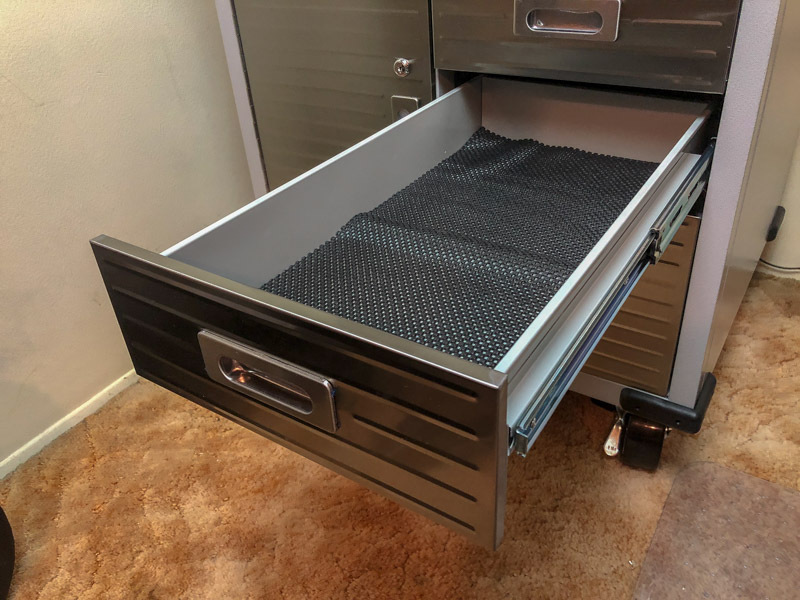 Take the case and place it within 2 inches of your iOS device and open the top. In a few moments a screen that says connect will appear, press connect and in a few seconds you’ve paired with your device and are ready to listen to music. Like I said earlier the case is the charging station. On the bottom is a port for connecting a lightning cable. This is the same cable that charges an iPhone or iPad. When the case opens a small LED between the AirPods shows the charge status of the buds. Green means they are charged, Orange when they need some charging. The case stores extra energy when it is connected to a charger. That way if they run out of juice when away from home you can pop them in the case which will charge them for another 24 hours of use. People that have never used the AirPods assume that they fall out easy and are worried about loosing them. I have found that they stay in my ears better than the wired headphones. I think the biggest problem with wired headphones is that the cord is always getting tugged. With no cables to get tangled the wireless buds stay surprisingly snug. Another concern is sound quality. To put it simply they sound great. Lots of bass and the volume is sufficient for all types of music and podcasts. AirPods are not noise canceling headphones so they would not be the choice for a trip on an airplane. But for most other uses they are great. When I’m out shooting by myself away from everyone I have wanted to listen to music on my phone. The cords from standard headphones are always getting tangled with my camera strap so I don’t often listen to music. Ever since receiving my AirPods they are always in my camera bag. One word of caution is that I don’t recommend listening to music in an urban environment when photographing. 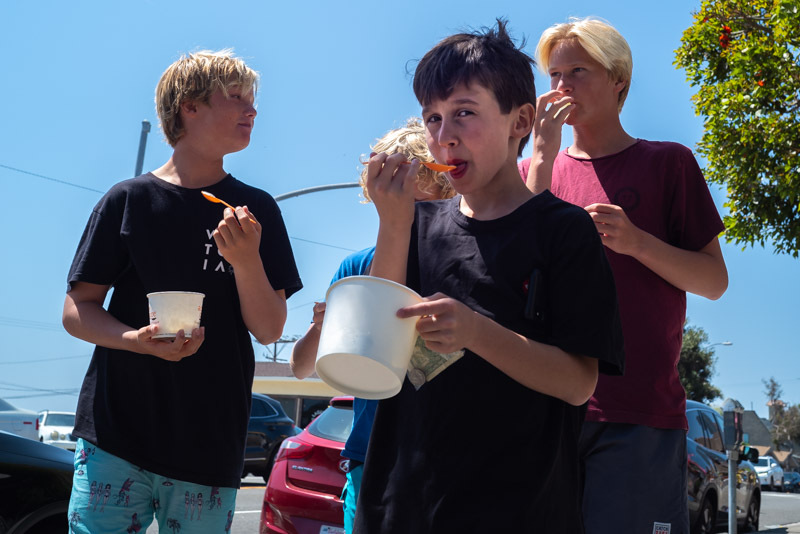 Stay aware of the people around you when photographing. Thieves are everywhere. This was probably the most entertaining workshop that I have ever attended. It was sponsored by Alvin's Photo which was a Leica only dealer in Pasadena, California. Alvin's had a huge selection of used Leica cameras and lenses. If you were a Leica fan and you lived in Southern California sooner or later Alvin's Photo was your favorite store. The highlight for me were listening to Costa Manos and Fred Maroon talking about their latest work. True photography masters and long time Leica users. I was sitting next to the gentleman that won the grand prize, a platinum Leica M6 with matching 50mm 1.4 summilux lens. So close. I have been photographing the coastal cities in Orange County for the last 20 years. It is scenic and the weather can always be counted on to be some of the best in Southern California. I decided to do some one camera, one lens shooting. Limiting the amount of equipment that you shoot with is a great way to focus your compositional skills. My first stop was Laguna Beach. Laguna Beach is a very affluent city and also quite photogenic. It is a popular destination for surfers and the locals that want to spend a day at the beach. So that you don’t make a long drive to the city to be disappointed I will warn you that Drones are banned in the city of Laguna Beach. What a shame. The beaches and shoreline are some of the best in Southern California. They aggressively monitor for drones and for photographers doing commercial photography. makes sure you get a permit for wedding or portrait sessions down at the beach. At a quick stop at the Fashion Island mall in Newport Beach I ran into another Leica owner. He was shooting with a Leica SL. This was the first time that I have seen someone shooting with the SL. I have seen plenty of the “M” series. We chatted for a few minutes, always nice to hear other Leica stories. My other photography location was at the Segerstrom Center in Costa Mesa. The largest shopping mall in the South Coast Plaza in Costa Mesa. It is full of the high end stores and is a popular destination for tourists. The Segerstrom family built the mall and later built the Segerstrom Center that is a short walk across the street from the mall. It is a large complex that puts on plays and musicals year round. It it well regarded for its quality of entertainment. There are many sculptures around the center. The Segerstrom Center owns a sculpture by one of my favorite artists, Richard Serra. The sculpture “ Connector “ was installed in 2006. It is a 64-foot by 20-foot 360-ton steel sculpture. Walking around and inside of a Richard Serra sculpture is something that everyone should experience. Spending the day with just my M10 and 35mm summicron just makes me appreciate my little rangefinder. Not everyone bonds with a camera and I guess it is not really necessary, it is just a tool after all. But I must admit Leica rangefinders have become a part of me and they are my favorite tool for creating art.